Today I’d like to welcome Terri Crews. She has a new release, Outlaw Jack, and she’s here to share her books, her writing, and a little about herself. Vicki: Why did you pick Inspirational romance as your genre? 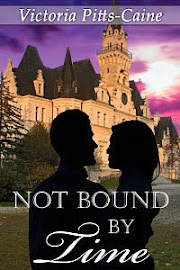 Terri: Well to answer honestly–not all of my novels are inspirational. 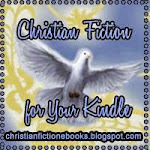 A have a variety that I have written throughout the years, ranging from contemporary to paranormal. However, I do believe in letting the imagination take over where it should, the world is already busting at the seams with scenes that are too descriptive. Vicki: You sound like a very well rounded author. I understand your interest in other genres. Vicki: Who is one of your favorite characters in your books and why? Terri: The first character to enter my mind- Oscar Paradise - Homeless Hearts (unpublished/ submitted). A wealthy elderly Native American, who is at times forgetful, cantankerous, doesn’t like change and the locals avoid him because of his outspoken rudeness. But his heart melts when he encounters a kind stranger who buys his breakfast believing he’s homeless, when in fact she’s the one who is homeless. Single mother Michaela Hamstern struggled to make ends meet after losing her job. Foreclosure seemed to be the last straw she could bear until her child is diagnosed with a heart condition. It’d been a long time since the queen of screw ups offered a humbled prayer only to be answer with divine occurrences directing her path. With a huge leap of faith, Michaela sells everything and uproots believing she’d start over with a new job and location. Reaching her destination plans fail and doubt creeps in. In the cold misting rain, her car refuses to start, and the need to sob is rerouted by the old man who comes to her rescue. Something about this woman provokes compassion in Oscar’s heart after hearing her story, he offers her a job in exchange for shelter. After seeing the condition of his home, Oscar’s amazed that she’d roll up her sleeves and set to work instead of running in terror. A dirty house, and a forgetful grumpy old man was the least of Michaela’s challenges. Oscar’s unbearable and accusing grandson Conner tested her last nerve. His goal was to be rid of the unwanted house guest who posed a threat to his grandfather. She couldn’t understand why- she’d never take anything from anyone and she’d move on once she could better her circumstances. Then she learns she’s not the only one who is dealing with heartbreak and sorrow. Through tragedies past and present two families find a miracle to mend broken and homeless hearts. A wonderful story filled with everything from restoring faith and hope to romance. Can’t wait for it to become reality. Vicki: The story line is very touching. I’d like to read that one, too. Vicki: How long does it take you to write a book? Terri: Most of my novels were written at a time when my days weren’t so full. I’ve completed fifty-five novels that I work on constantly to improve before submitting them. And if I recall correctly, my first published novel, From Letters to Grace I penned in about two weeks (years ago). However, time is a less generous these days. 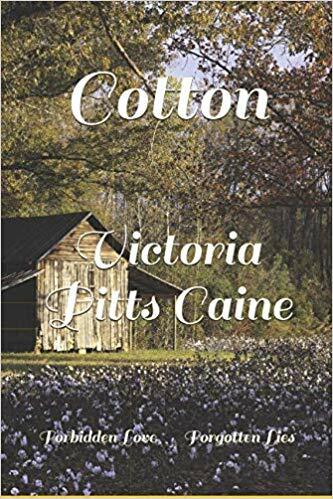 Vicki: Fifty-five novels – wow! I’m duly impressed. We can all appreciate the time snatchers in our lives. Vicki: How did you come up with your titles? Terri: Sometimes the title is determined before the novel develops, but most often while I’m writing I try to choose something that compliments the plot. Vicki: I can relate to that. Sometimes you have to wait for the story to speak to you. Vicki: When did you start writing? Terri: As a child I remember my grandmother asking, what did I want to be when I grew up? I replied–I wanted to tell stories. I began dabbling with short stories and poetry in middle school, but seriously in 2005 as a hobby more or less when friends liked my work and encouraged me to seek publishing. Vicki: I’m glad you listened to everyone including your own heart. I enjoy your stories. Vicki: How hard was it to find a publisher? Terri: Difficult. Hours and hours of searching the web. Many inquiries, and lessons learned. My biggest downfall was being unknown (still rings true even with four published works). I remember receiving two rejection emails from the same company within seconds of each other. Clearly not enough time for the person to have read the samples I had sent. So if one isn’t popular already, it is a struggle to swim among well-known authors just to get your name afloat in the same ocean. Ironically, fame isn’t what drives me. I just enjoy sharing a story. Advice to anyone seeking publication, please do your homework before settling with any one company. There are some who will take advantage. 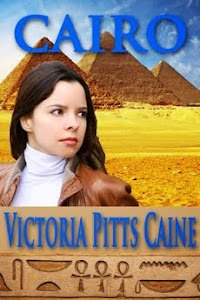 Vicki: The writer eager to be published may be taken down the wrong path. I had that happen to me in the beginning, too. 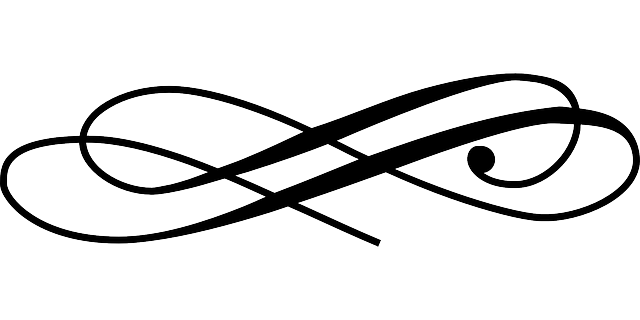 Vicki: What’s new with your writing? Terri: Good question, I which I have two answers. I have several under contract, but I believe that Pony Chasers is next in line. 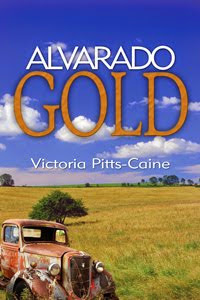 This novel is set in the 80’s a time when rodeos and country music were very popular. The first part of the novel the main character is seventeen and drifting from town to town with her rodeo chasing father and younger brother. Not a normal family at all, but for Kennie, she was about to learn valuable life lessons. The second part of the book, it’s seven years later. Her passion for country music brings her to her biggest gig yet- performing at Gilley’s. Where she clobbers an over- zealous cowboy with her guitar only to realize she’s face to face with her first love, and first heartache. The last novel I’ve dared to ventured in–One of Three, (unpublished/ and not yet submitted) and my first attempt to pen a spy/CIA type of novel. This young woman is an agent in training, whose identity is breached but then she learns that she is one of identical triplets who like herself were adopted, now she must find her sisters, before the enemy mistake their identities as her. This story is full of twists and surprises, who can one trust, what is the real truth and most importantly who is the agent she fell in love with? A work in progress. 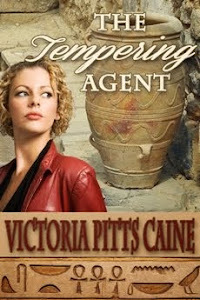 Vicki: The spy story sounds very interesting. Hope you find a home for that one, too. A little bit about Terri: I reside in the small town of Hilliard, Florida with my husband of twenty seven years. Together we have two children. The oldest Elizabeth (son-in-law Scott), Jonathan and soon to be daughter in law- Briana. I attend First Ave Baptist Church, with a wonderful group of people. I work for Franklin Properties right here in Hilliard as an office manager. My passion aside from family and lending a helping hand is writing. Somedays even that is a challenge. My mid-twenties I was diagnosed with hypothyroidism and then Rheumatoid Arthritis shortly after. These conditions slay one’s physical, mental, and overall general health. There are days I have to push myself despite the pain and lack of energy, but God is good. I love to see people happy and successful. My goal as a writer is to provoke the imagination with stories that overcome with real situations and sometimes a little out of the ordinary circumstances. Once in a while I like to change up the scenarios with a ghost story or fantasy. My favorite era to write about is the old west. You had your share of outlaws, hard work and faith. And I know there are those who love history and want every detail to be in place, but as an author of fiction, it’s about a story. The struggles, triumphs over tragedies, and good conquering evil. Which sets the stage for my latest release Outlaw Jack. Outlaw Jack: Jacqueline Wallington had been dealt her fair share of heartache and tragedy, but just when life began to treat her kindly, cruel fate strikes again. Two months of marriage to the wealthy cattle rancher is destroyed by his untimely death. And to make matters worse, Bill Terrell slithers upon her front porch with his so- called papers proclaiming her late husband’s outstanding debts and his ill-mannered proposal. Angry, hurt, and alone once again, Jack sets out with her the only thing she could manage to take from the property- her late husband’s colts. With revenge driving her misdeeds, she earns herself a title- “The Gray-eyed Bandit”, whose sole purpose is to steal from the man who stole from her and ironically give most of the loot away. With the last of Terrell’s bank in her sights, the robbery goes off without a hitch or so she thought. Bullets find their mark, landing her in the dirt and right in the lap of handsome, kind hearted, Deputy Gavin Ward. Gavin Ward was elated to know that it was his bullet that toppled the notorious “Gray-eyed Bandit.” Guilt overshadows his pride when he discovers he’d just shot a woman. Fearful for her life and uncertain if he should take her back to town, Gavin takes her to his cabin to tend her wounds. After all she was entitled to a fair trial. As the night wore on Gavin is amazed that she is able to answer his questions. Hearing her story, he changes his mind about turning her in. This beauty wasn’t the nasty outlaw posters claimed her to be, but a troubled young woman driven by a terrible twist of fate. He could relate with his own demons lurking in his past. Days pass and Gavin sees that there is more to Jack that meets the eye. She manages to stir something he’s never longed for, love, companionship, and family. Jack is now well aware of what she’d been missing her whole life. She loved Brody, however he had not once displayed any kind of romantic affection toward her. Why? Brody treated her kindly, lavished gifts upon her, but nothing more. Wasn’t it normal for a man to desire his wife? What was wrong with her? Could what her mama accused her of being be true? Was she a bad seed? Did her unique features disgust her husband? When she plagued him with questions of romantic notions, Gavin couldn’t believe his ears. Brody Wallington had to be blind not to be captivated by his own wife. Her eyes alone could mess with a man’s thinking, not to mention the fullness of her mouth. Her inquiries came true to light when fever took hold of Jack. Images of her past life played out in the madness spewing from her mouth. Ugly things ravaged his imagination while he tended her. Her own father, his blood ran cold, and then a husband’s rejection. 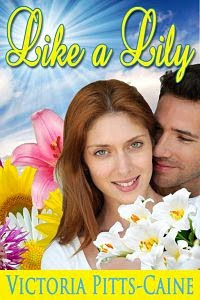 She called him Brody… she wouldn’t know and a kiss was just a kiss, a pleasant memory or so he thought. Caught up in her fire, Gavin falls head over heels for this uncanny outlaw. He is convinced that he can earn her a new title, but they had to clear up the old one first. But at what cost? Could the plan they’ve cooked up work? Or will the woman he loves hang? Vicki: Terri – thank you so much for stopping by. I loved learning so much about you. Outlaw Jack is available on Amazon and look for my review there, too. I totally enjoyed it! Prism Book Group is offering six amazing Christmas Novellas. Get your favorite cup of tea/coffee/hot chocolate, a plate of cookies and enjoy a winter afternoon. Every year South Pole, Alaska, celebrates a backwards Christmas. From upside down trees to mistletoe on the ground to presents brought to Santa, everything is the opposite of how the rest of the world spends the holiday. Noelle Richards is a tour guide and every year, Chris Furst, her one-time boyfriend silently takes the tours. His father started the backwards Christmas and played Santa himself taking the presents to the children in surrounding villages. Chris’ parents died on such a trip, and Chris walked away from the celebration and all it meant, but he couldn’t walk away from the memory of loving Noelle. Ms. Williams has written a warm Christmas tale involving believable characters set in a magical setting. Even with all the trappings and sparkle of the season, the true meaning of the holiday shines through. Bella takes to the bus to return to St. Christopher during the Christmas season. Izzie, her mother, has broken her leg, and while she’s being doted on by her friend Barton, Bella will run Izzie’s shop. Two things Bella didn’t expect when she came home was taking her mother’s place in the annual Christmas Production and running into her high school flame, Jake, from twelve years ago. While Jake wants to make amends and tell Bella what really happened when Bella caught him kissing another girl, Bella tries to avoid him. As several subplots unfold, the most disturbing is who is setting all the seemingly unrelated fires in town. Relationships are mended and old friendships rekindled, and Bella begins to think St. Christopher might just be calling her home. Delightful read. A little mystery, a little suspense, and plenty of romance make this Christmas Novella a must. Due to a tragic traffic accident Ben Jacobsen is brought home from military service to his children wondering how he will survive without his wife. After telling her overbearing boyfriend it is over, Jenna Campbell moves to Myrtle Beach to take a position as a children’s minister. When Ben brings his children to church and his young daughter to pre-school, he’s attracted to Jenna. Both their lives are wrought with complicated circumstances leaving them to wonder if they can love again. Ms. Mowery has a wonderful way of weaving interesting characters into the normal situations of life. The story is warm and a wonderful way to spend the afternoon. Christmas has come to the frontier town of Omaha in this delightful novella. Connie the owner of Rose’s Café, now a widow with a small boy has decided to take some time from her busy schedule running two restaurants to attend her friend’s birthday. James, the only doctor in town attends the party, too. The couple enjoys each other’s company and both begin to realize they’ve put their personal lives on hold for far too long. A sinister plot from the town banker, a baby born on a cold Christmas eve night, and a visit from a mysterious stranger all make this novella a perfect Christmas read. Lady Nola has made a mistake that will cost her family much shame. When her mother finds out Lady Nola is pregnant, her parents decide she’ll be wed immediately. Fleeing her home, Lady Nola finds herself on the streets of Medieval London. With her jewels she’s taken to pay her passage, lost, Lady Nola sings carols with a group to earn her way. The troupe is asked to perform for the twelve nights of festival in a smaller town. The very man her mother wanted her to marry is the Lord of the castle. When he finds out her secret, Lady Nola runs from him, too. Will the love they both feel be acknowledged by the other? This is an interesting tale told by Ms. James. The information she gives about the medieval history kept this reader drawn in and the book not put down until it was finished. Leaving a wealthy family, Grant builds his home in western Wisconsin in the 1800s. He and his wife Lily have lost their first born. She is overcome with grief, and he doesn’t know how to help. A neighboring farm is destroyed by fire leaving three small children orphaned, the youngest a tiny baby. When the need for a home for them is mentioned at church, Grant feels moved to volunteer and he does without asking Lily. With their new Grandpapa reading the Christmas story, the three orphans just might mend Lily and Grant’s broken hearts. Ms. Baganz has given us a wonderful story set in the early founding of our country bringing to the reader the warmth and glory of Christmas love.